My experience in the Czech Republic as an Erasmus student was the most memorable thing I've ever done. 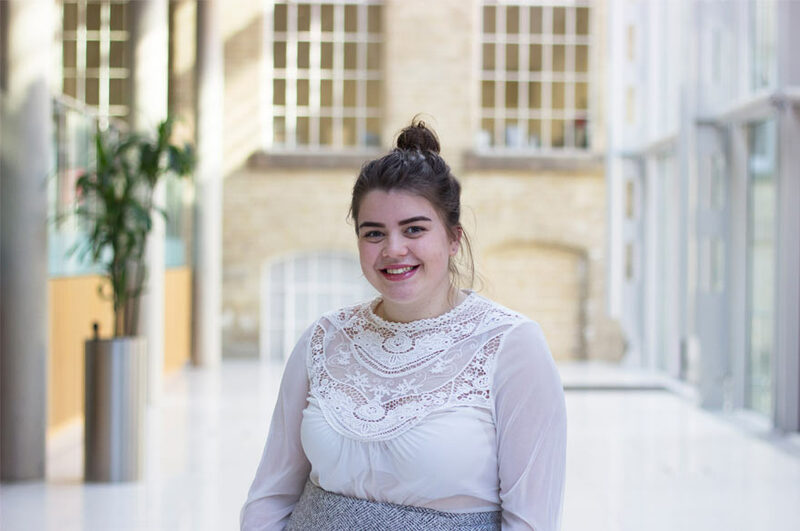 "I chose to study at Nottingham Trent University (NTU) because I was so impressed with the different aspects of the university, which I heard about at the open day. The law facilities and opportunities given to students were the main reasons I chose to come here. However, the award-winning Student Union with the wide range of societies and events, such as Varsity also helped to secure my decision. The open day made me realise how well I’d fit into the environment here. "The biggest factor that made me decide to study law at NTU was the chance to do Erasmus. The international opportunity to study abroad was something I have always wanted to do. The optional module choices are also fantastic. The Legal Advice Centre at NTU is a genius idea, and I don’t think all the other universities I applied for had them, or if they did they were not as good / big as the one here. "I found Contract Law that I studied in first year particularly useful because of the mooting element it contained. It gave me an insight into the way in which lawyers work in court, and helped my confidence. I’ve also found Medical and Employment Law really enjoyable this year, and are two fields of law I’m particularly keen to explore further. "The sport facilities also attracted me to NTU as I could continue with sport. I’ve used the gym and 24 hour library facilities during all three years, and have found them great for students especially the various study areas. The Students' Union is my favourite place to go. You can work, climb, eat, party and socialise all in one place. The student support is also really helpful especially in the first few months. I use NOW (the online learning environment) on a daily basis. I find it useful because it’s clearly set out and easy to navigate. It’s always updated with news articles and information. "During my time at university I participated in the Erasmus scheme, and undertook some work experience in the Czech Republic. I worked with leading lawyers in the Law Office, Brno. I have participated in numerous family law matters, such as international child abductions and legal divorces. The experience was incredible, as I got to see the contrast between Czech law and English law. I have also recently just applied to the Citizens Advice Witness Service, which I found out about through Nottingham Law School. "I have become a more independent and confident person since coming to university. The friends I have made, and the experiences I’ve had during my three years have helped me grow personally. As for academically, I have not only learnt more about the law that obviously comes as part of the course, but I’ve learnt how to draft emails more professionally and communicate more effectively. "I’m from a village in the middle of the countryside, so coming to Nottingham was like living in a completely different world. I expected it to be a standard city, but living in the heart of the city makes it so much more entertaining. I like the fact you have everything on your doorstep including the cinema, restaurants, clubs and the university all in one place. "My experience in the Czech Republic as an Erasmus student was the most memorable thing I've ever done. I was sceptical about it at the start as the process was so daunting, but the NTU staff helped me at every stage including finding accommodation and setting up a bank account. I wasn’t sure whether I was ready to leave my boyfriend, family and dog behind for so many months, but being part of such a big international group of people helped me gain new friends and take my mind off missing home. I've learnt new things about myself that have helped me grow up a lot more and become independent. Studying in one of the top universities in the Czech Republic has helped enhance my CV, and since returning home, has given me the upper hand in securing a graduate job. My favourite part of the Erasmus abroad, was the freedom of travel. There were so many countries in the palm of my hand, and what a wonderful semester I had. "I would recommend the Erasmus scheme to everyone, it’s the best thing I’ve done. The friends you gain are friends for life. The experience is one that you might never get again, and it makes you stand out in this ever-competitive society. Nottingham Trent University is great, but there's a whole world out there ready and waiting for you, Erasmus is the first step."